7 days left to enter the 7th quarterly Swale Life Poetry Competition. Smash - Stand LET GOD SEE YOU THROUGH. STAND AND LET GOD SEE YOU THROUGH. When you have done all you can, and it seems like you are not going to make it, just stand and let God see you through. It is an amazing song, and I would like you all my friends to just STAND and let God take control of your week this week and every day of your lives. The Nigeria House Literature Showcase is a showcase of Nigerian Literature presented through book readings, conversations on literature and a display of a wide range of books by Nigerian authors. This event is part of a showcase of Nigerian Arts, Culture and Lifestyle holding during the Olympics in London, from 23 July – 15 August at Theatre Royale, Stratford East. Nigerian authors being featured include: Diran Adebayo, Sefi Atta, Helon Habila, Ade Solanke, Zainabu Jallo, Nnorom Azuonye, Cibundu Onuzo, and Rotimi Babatunde whose recent win of the Caine Prize is still being celebrated. Meet these authors on the 26th, 30th and 31st of July 2012 at Theatre Royale Stratford East. Their books will be on display and available for sale, at the same venue from the 24th of July till the 3rd of August 2012. This event is sponsored by the Bank of Industry and is produced by British Council and CORA Art & Cultural Foundation. Ade Solanke is a playwright and screenwriter, and founder and creative director of Spora Stories, developing and producing high-quality, entertaining, socially-engaged plays and films about the African diaspora. Ade gained her MFA in Film and Television at the University of Southern California School of Cinematic Arts, where she was a Fulbright Fellow and Phi Beta Kappa International Scholar. She worked as a story analyst for several Hollywood studios and has taught scriptwriting at the University of London and Pan-African University, Nigeria. Earlier in her career, Ade was voted 'London's Top Young Entrepreneur' for her writing business by Nat West Bank and Shell UK. In collaboration with other diaspora storytellers, Spora explores new story-delivery systems. Chibundu Onuzo was born in Nigeria in 1991 and is the youngest of four children. She is currently studying History at King's College, London. When not writing, Chibundu can be found playing the piano or singing. The publication of her first novel, The Spider King's Daughter, in 2012 by Faber and Faber was greeted with acclaim for her achievement at getting such a coveted publishing deal at a young age. In June 2012, she was named UK’s Number 1 best black student. The award was given by Rare Rising Stars. She proved to be the first woman to top the list. Chibundu has since started a blog to promote her book and chips in commentaries on Nigeria, notably a recent article published on the website of the UK Guardian, on the resilience of Nigerians in the face of widespread terrorism. Diran Adebayo is an acclaimed novelist, short fiction writer and cultural critic best known for his vivid, picaresque takes on modern Britain, and his distinctive style. His debut novel, Some Kind of Black, was one of the first to articulate a British-African perspective, and was hailed as breaking new ground for the 'London novel'. It won him numerous awards, including the Writers Guild of Great Britain's New Writer of the Year Award, the 1996 Saga Prize, a Betty Trask Award, and The Authors' Club's 'Best First Novel' award. It was also long listed for the Booker Prize, serialised on radio and is now a Virago Modern Classic. His second novel, My Once Upon a Time, a dazzling slice of neo-noir set in a re-imagined city, was also widely acclaimed, and solidified his reputation as a groundbreaker. In 2004 he co-edited 'New Writing 12', the British Council's annual anthology of British and Commonwealth literature, with Blake Morrison and Jane Rogers. Diran has also written for television and radio, including the 2005 documentary 'Out of Africa' for BBC2. As a critic, he's written extensively in the national press and appeared as a guest on shows such as 'Newsnight', 'The Culture Show', 'This Week' and the 'Today' programme, discussing everything from sport and race to politics and popular culture. He is currently writing his third novel, The Ballad of Dizzy and Miss P, and a sports-based memoir. He is a member of the National Council of the Arts Council of England and a Fellow of the Royal Society of Literature. He studied Law at Oxford University. Helon Habila studied Literature at the University of Jos and lectured for three years at the Federal Polytechnic, Bauchi, before going to Lagos to write for Hints Magazine. He is a poet and prose fiction writer. Extracts from his collection of short stories, Prison Stories, were published in Nigeria in 2000. The full text was published as a novel in the UK under the title Waiting for an Angel in 2002 and received a Commonwealth Writers Prize (Africa Region, Best First Book) in 2003. Also in 2002, he moved to England to become a Writing Fellow at the University of East Anglia. Helon Habila also won the MUSON Poetry Prize in 2000 and was the arts editor of the Vanguard Newspaper. He is currently teaching Creative Writing at George Mason University in Fairfax, Virginia, where he lives. His second novel, Measuring Time, the tale of twin brothers living in a Nigerian village, was published in 2007, and his latest novel is Oil On Water (2010), shortlisted for the 2011 Commonwealth Writers Prize (Africa Region, Best Book)..
Helon Habila’s novels are stories of individuals discovering and dealing with loneliness, ennui, love affairs that don’t quite work out, political corruption, brutality and violence, and the enduring importance of freedom of expression. Nnorom Azuonye is a poet, writer, dramatist, essayist, interviewer, literary editor and publisher. Founder and Administrator of Sentinel Poetry Movement, publishers of ‘Sentinel Literary Quarterly’, ‘Sentinel Nigeria’, and ‘Sentinel Champions’ magazines, he is the author of the poetry collections: ‘Letter to God and Other Poems’ (2003), and ‘The Bridge Selection: Poems for the Road’ (2005). His play ‘A Tasty Taboo’ received its world premiere in 1990 at the University of Nigeria Arts Theatre, Nsukka, and ‘Funeral of the Minstrel’ (a short play) was published in the Sentinel Annual Literature Anthology (2011). His poems, short stories, essays, and interviews have appeared in several international journals including: Opon Ifa, Sunday Statesman, Weekly Star, Agenda, Theatre Forum, Orbis, DrumVoices Revue, Maple Tree Literary Supplement, African Writing, Flair, Sentinel Literary Quarterly and Eclectica. His works have also appeared in the anthologies: ‘Voices Against Racism: 100 Poems Against Racism’ (Edited by Thomas O’Flaherty), ‘For the Love of God’ (Edited by Desmond Kon et. Al. ), ‘Songs for Wonodi’ (Edited by Dike Okoro), ‘Not Only the Dark’ (Edited by Jo Field and Nicky Gould), and ‘Sentinel Annual Literature Anthology’ (Edited by Nnorom Azuonye, Unoma Azuah and Amanda Sington-Williams). 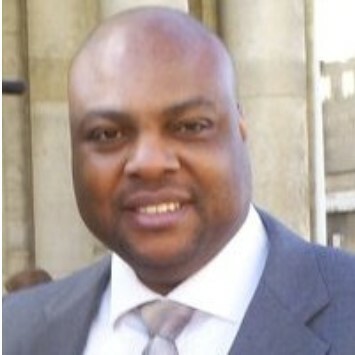 Azuonye lives in South London with his wife and children. Rotimi Babatunde is a poet, playwright and fiction writer. His short stories have been published in Little Drops, Fiction on the Web, and Mirabilia Review, among other publications, and broadcast on the BBC World Service. He is a fiction award recipient of New York’s Ludwig Vogelstein Foundation, a winner the Abuja Writer’s Forum Cyprian Ekwensi Prize for short stories, and his story Bombay’s Republic was shortlisted for the 2012 Caine Prize for African Writing. Rotimi Babatunde’s plays include An Infidel in the Upper Room (presented at the Royal Court’s Jerwood Theatre Downstairs, at the Institute for Contemporary Arts (ICA), and broadcast on the BBC World Service); The Bonfire of the Innocents (commissioned by Riksteatern, the Swedish National Touring Theatre, and staged in Swedish translation as Elddopet); and A Shroud for Lazarus (world premiere at Halcyon Theatre, Chicago). He is currently working on a new collaborative theatre project, part of the London 2012/World Stages London, jointly produced by the Royal Court Theatre and the Young Vic. His poems have been published in Daybreak on the Land, A Volcano of Voices, NT Lit Mag, and translated into German. His writing has been recognised with literary fellowships by the Fondazione Pistoletto’s Unidee Program and the Rockefeller Foundation’s Bellagio Centre in Italy, and by Ledig House and the MacDowell Colony in the United States. Rotimi Babatunde lives in Ibadan, Nigeria. Sefi Atta was born in Lagos, Nigeria. She was educated there, in England and the United States. A former chartered accountant and CPA, she is a graduate of the creative writing program at Antioch University, Los Angeles. Her short stories have appeared in journals like Los Angeles Review and Mississipi Review and have won prizes from Zoetrope and Red Hen Press. Her radio plays have been broadcast by the BBC. She is the winner of PEN International's 2004/2005 David TK Wong Prize and in 2006, her debut novel Everything Good Will Come was awarded the inaugural Wole Soyinka Prize for Literature in Africa. Her short story collection, Lawless, received the 2009 Noma Award For Publishing in Africa. Lawless is published in the US and UK as News From Home. She lives in Mississippi with her husband Gboyega Ransome-Kuti, a medical doctor, and their daughter, Temi. Zainabu Jallo was nominated in 2011 by the Royal Court Theatre London, British Council and Ford Foundation Nigeria to join nine other young Nigerians to begin a ‘New Writing from Nigeria project’. In 2008 she was nominated by the same bodies to attend a summer writing residency at the Royal Court Theatre in London. In 2009, she was awarded a fellowship for a three –month residency at The Global Arts village New Delhi, India where she had readings of some of her work. Onions Make Us Cry, her second play got published in 2010. The play had a reading at the Contacting The World International Theatre Forum in the same year got nominated for the 2010 Nigeria Prize for Literature. Onions Make Us Cry was read at the festival of new international plays in March 2011 at the LARK in New York. The play had full performances by the Crown Troupe of Africa in Lagos, Nigeria. In November 2011, Onions make us Cry was announced as one of the six winning plays of the National Studio London, Africa Project. Zainabu is one of the playwrights whose work will be featured at the 9th Women Playwrights international conference in Sweden, August 2012. She has recently been offered a place at the Sundance Theatre Lab as writer in residency 2012 as well as a place in the 2012 Château de Lavigny, Maison d’écrivains Fondation Ledig-Rowohlt Residency Laussane, Switzerland. Her new play HOLY NIGHT has received a few readings and made it to the final round of the internationalist Playwright Contest with readings in New York later in the year.